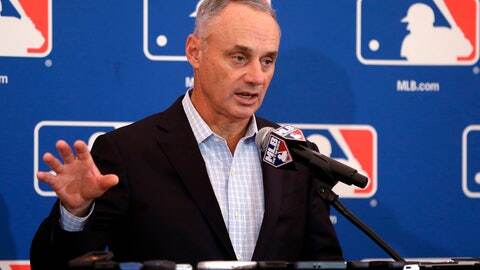 After wrapping up two days of meetings at a hotel next to the Atlanta Braves‘ SunTrust Park, the owners announced a new contract for Commissioner Rob Manfred, keeping him on the job at least through the 2024 regular season. The 60-year-old started a five-year term in January 2015. The new agreement also commits Fox to showing more games from the League Championship Series on its main network, beginning in 2019. It was criticized for televising all but Game 2 in this year’s seven-game NLCS between the Los Angeles Dodgers and Milwaukee Brewers on FS1, which has a narrower distribution. Starting next year, two of the first four games and Game 7 will be on Fox.